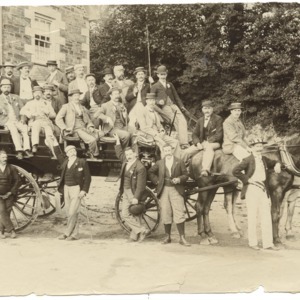 Warren's Jersey Car (horse drawn) , Penzance. 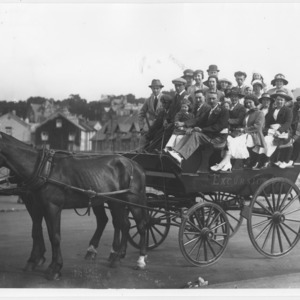 Warren's Jersey Car (horse drawn) Penzance. 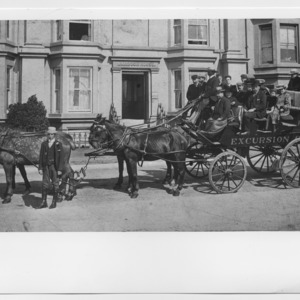 Richards's Jersey excursion carriage outside Wardour House, formerly Wardour Pension, Wherrytown, Penzance. Loaded with people for Land's End. Family information on the back of the print.